How do I create binary packages with MacPorts? 97. 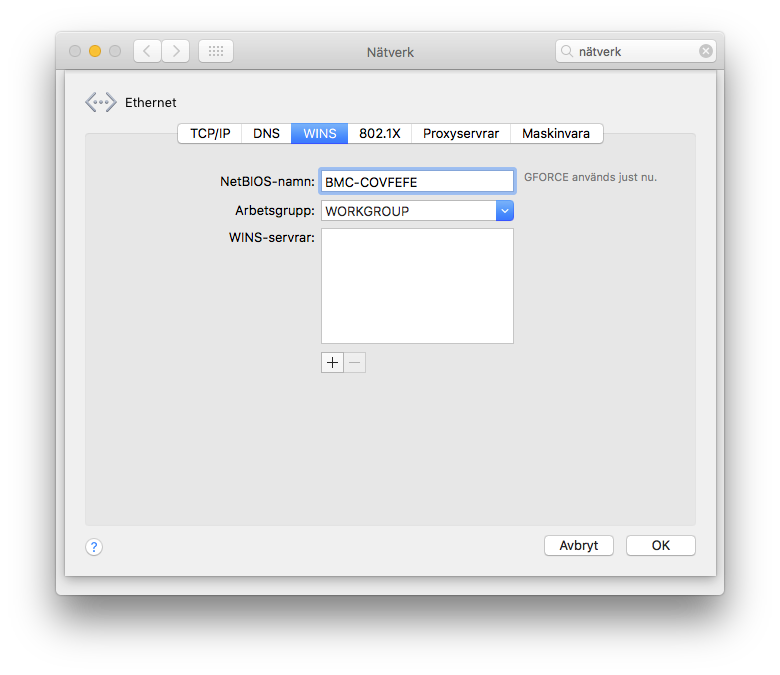 How do I change the Mac computer name, host name and NetBIOS-name? 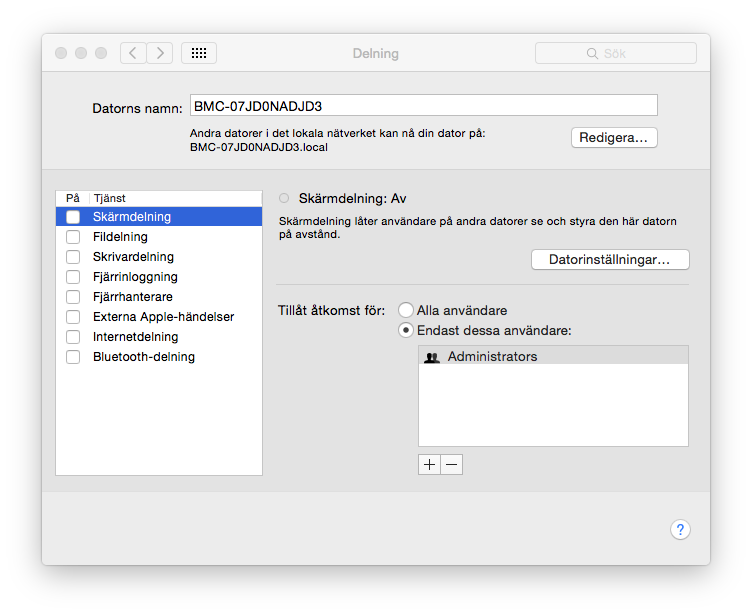 In macOS, change the computer names in the system settings, in the Share (Delning) dialog. The host name is however picked up from the DHCP-server. It is used as a prompt in the command line. With dynamic DHCP the IP and the host name may change from time to time. So to get a consistent hostname set it manually like this; in this example BMC-COVFEFE is used as hostname, but please use your own instead!